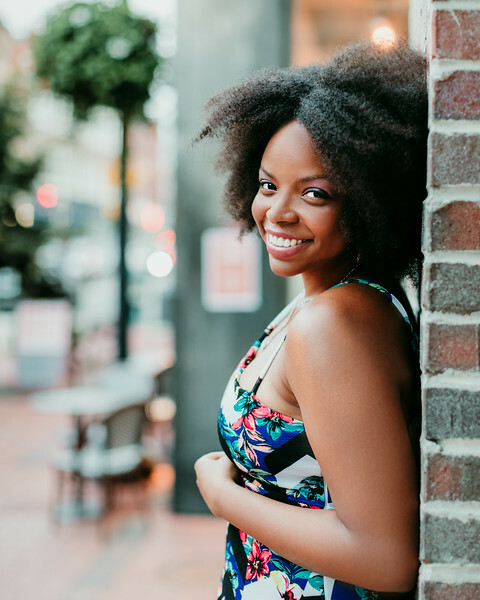 Formerly known as Tripomatic, Sygic Travel is the travel planning app that I never leave home without. Back in the day (okay, maybe just a few years ago), I used Tripomatic to organize my trips. The app has come a long way since then. Sygic Travel is a powerful tool. It allows travelers to now plan and book trips. You can also navigate and discover new places worldwide. Ever wonder how I see so many sights on short trips? Here’s a hint. It’s not by chance. Sygic Travel is the brains behind all of my trips. Among other useful travel apps, here’s why Sygic Travel is a must-have in your travel planning arsenal. 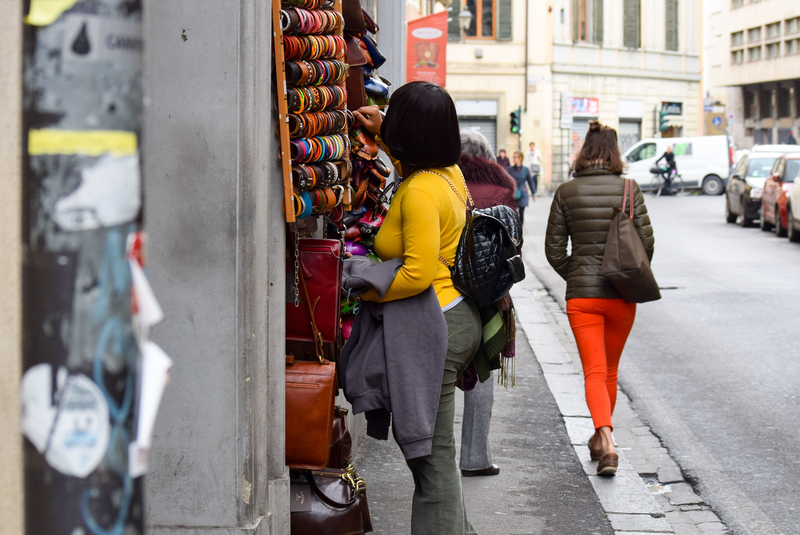 Discovering artisanal shops in Florence, Italy. Sygic Travel is a travel planning game changer. It’s available on Android and iOS devices. In many ways, it has changed the way I travel. It empowers me to make more informed decisions in less time. Through the app, I discover new things to do without having to do a ton of research. I no longer have to cross-reference multiple websites for info. All the important information I need is available in the app. This includes admission prices, opening hours, and address. Links to the official website and Wiki articles are also available. This reduces the time it takes to plan trips! 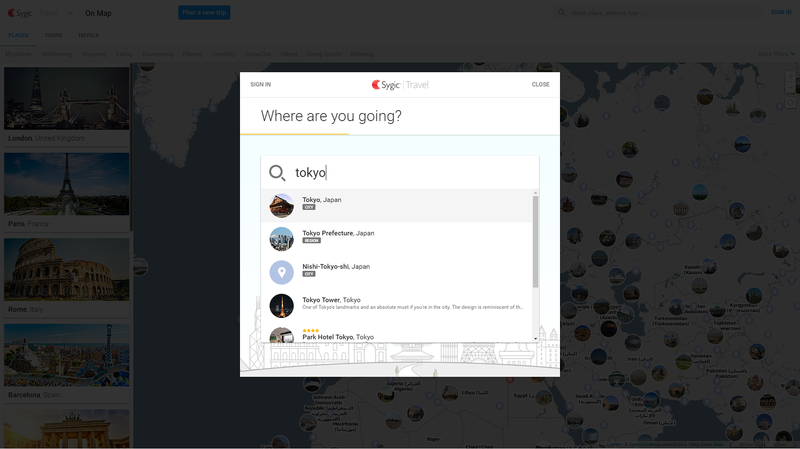 With Sygic Travel, creating an itinerary is easy. I appreciate that the app is user-friendly. Login and choose a destination. 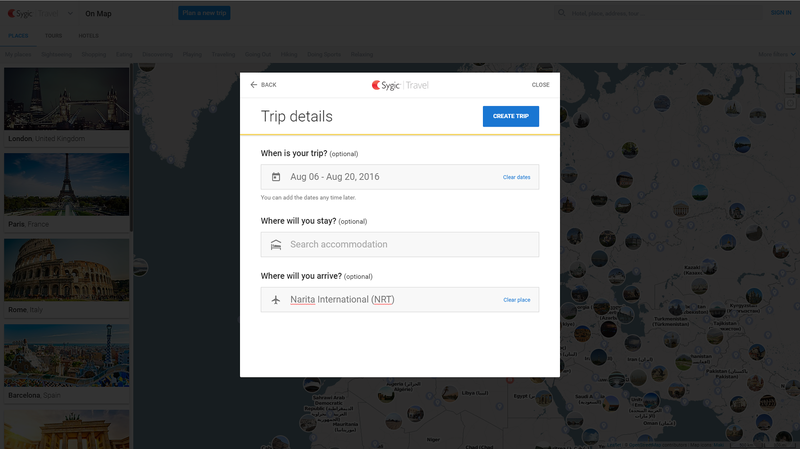 Next, input your trip details. This includes trip dates, accommodation, and airports. No worries if you haven’t finalized your plans yet. You can always edit these later. After you create a trip, check out the map for places to visit. There are over 20 million places to discover. Notice the size of the bubbles. Large bubbles are the most popular attractions. Find more details about a place on the sidebar. Looking for something more specific? Filter by category. Explore categories like sightseeing, shopping, restaurants, museums and more. Drill down further by filtering and selecting tags. 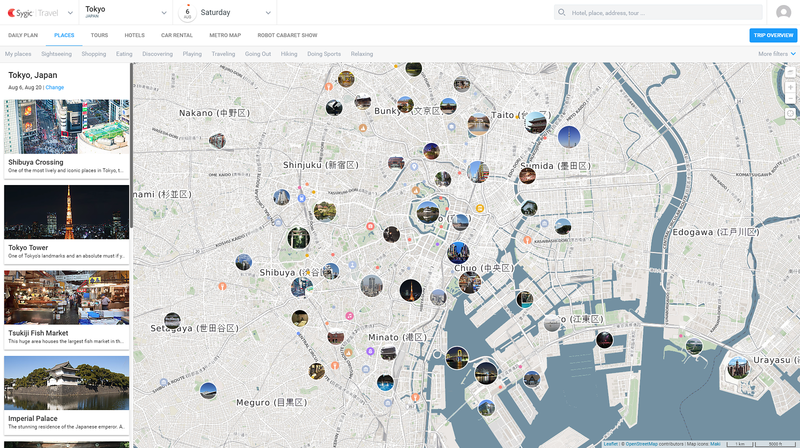 For example, filter sightseeing by historical sites, shrines, and memorials. After you have a few places that you want to check out, start building your day-to-day itinerary. Add places to specific days. Personally, I like to create itineraries on my desktop. I use the app on the go. For more exclusive features, Christopher Rudder’s instructional video tells all. Sygic Travel Premium offers all the features mentioned above and more. Unleash the power! Before upgrading to Sygic Travel Premium, I struggled with accessing my itinerary offline. Here’s a quick story for you. A few months ago, mom and I were in Milan on our first mother-daughter trip. After climbing to the top of Duomo di Milano, I looked at the app to see what’s next on our list of things to do. You guessed it – I had no service. And I couldn’t see my itinerary! All that trip planning I did a few weeks ago went to waste. Left high and dry, we had no idea what to do next. We wandered around the city till we stumbled on the Castello Sforzesco. 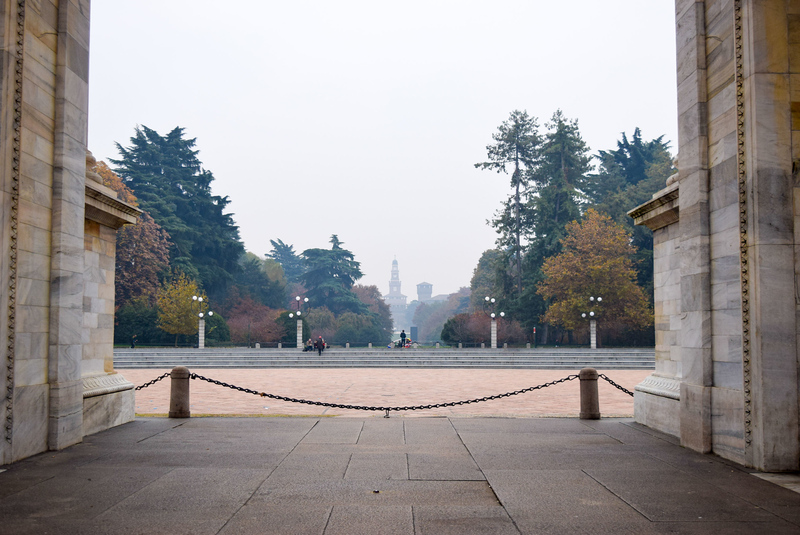 Views of Milan’s Castle from the Arch of Peace. Without access to my itinerary, we missed most of the attractions that I wanted to see that day. Nevertheless, we enjoyed the rest of our afternoon. 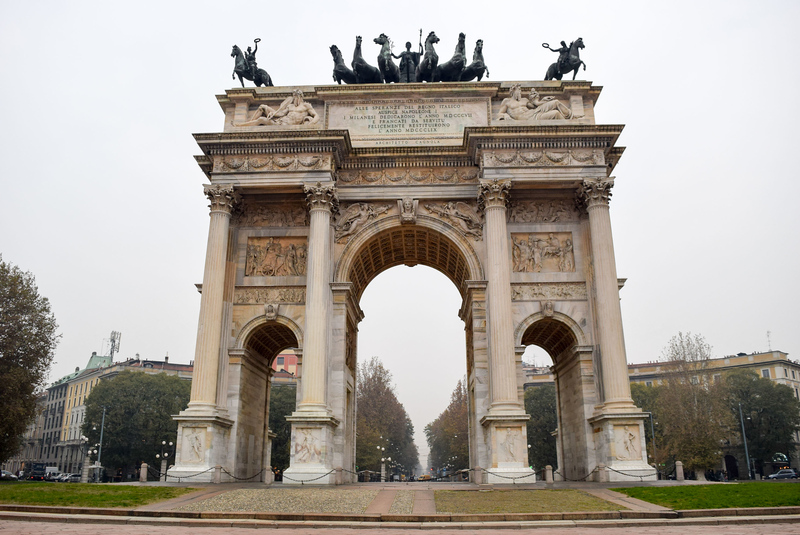 Made it to the Arch of Peace in Milan, Italy! 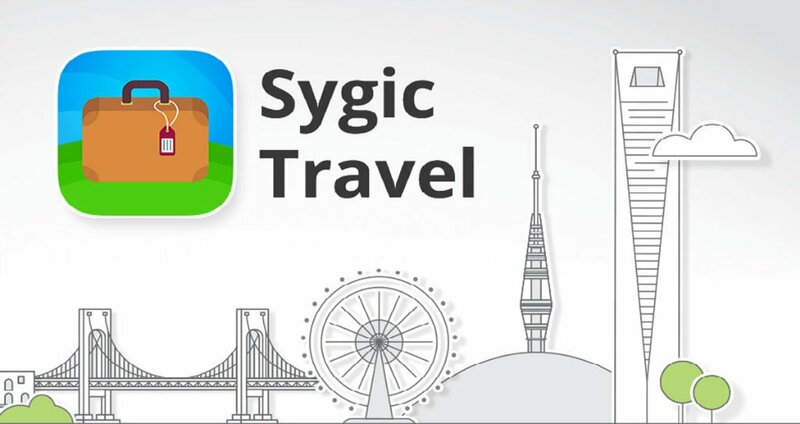 With Sygic Travel Premium you can use the app without any internet connection. Thinking back to my Milan story, upgrading to premium ($18.99 USD) could have saved the day. By the way, I’ve seen it on sale for as low as $9.99 USD. If you don’t want to commit to the premium upgrade, you can download offline maps for a fee. Offline maps are great for GPS navigation. 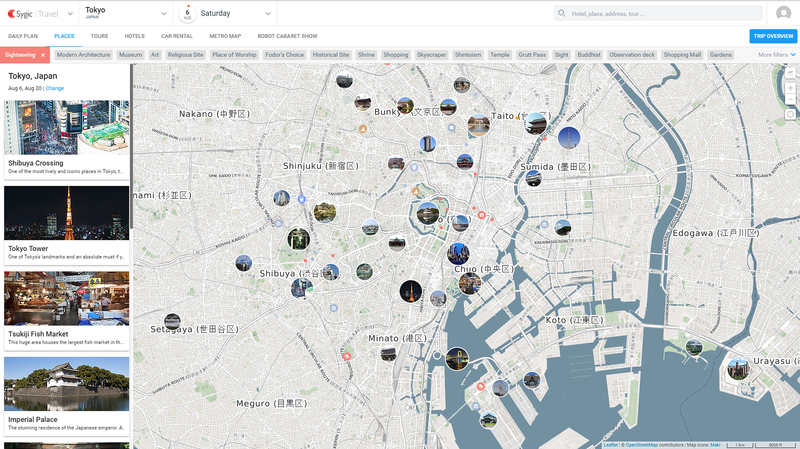 You can also view your itinerary and see nearby attractions in real-time. This comes in handy when you want to make last-minute changes to your itinerary. Lastly, you’ll also have access to insightful Fodor’s reviews and city guides. I’ve teamed up with Sygic Travel to give away 2 premium accounts. If you like the app’s free version, I know you’ll love premium. Download and enter to win! Thanks again Sygic Travel for hosting this giveaway, of course, all opinions are my own. Good Feature of Offline Maps. Does this app work in all the countries? Hopefully with new updates, public transportation will be an added feature. Offline maps have become my crutch when traveling so you don’t even have to tell me twice. But then what did we all do before phones? Wow, thanks for sharing this app. I can’t wait to try it out in my travels. Looks amazing! It’s a great app. Would be useful for future travels. Which maps? I’d love to check it out! Sounds like the app is a lot better than regular map apps. I especially love the idea of the bubble size options that makes it easier to know what’s more of an attraction than others. Will try. Just and update. I used the free version in Spain and Italy in May and found it quite useful, especially the save offline functionality for areas that don’t have free wifi. That’s so fantastic Abby, Sygic is my favorite. Do you use any other resources? Or would you like to see any other reviews on the site? I think I used tripomatic in the past. I tend to do this from scratch in google maps, love having all the sights available to add, would save SO MUCH TIME! How do you find attraction in Google Maps. I’ve never used google maps before for itinerary planning. i had tripomatic a few years back for an LA trip and LOVED it. when i started planning another large city trip, i couldnt remember what it was called and couldn’t find it. they changed names! SO GLAD to have found sygic travel! Yay Laurion, I’m happy to hear that! I’ve never heard of this app before, but sounds like it’s a really useful app. Good to know you can use it without internet connection as this is definitely an important feature! First time I’ve heard of this app and sounds like it’s a convenient way to check all the popular spots for tourists! Thanks for sharing ?? what an incredible app. I could deff use something like this on my travels. planning is always the most stressful part! esp when you know nothing about a particular area. That’s amaze! 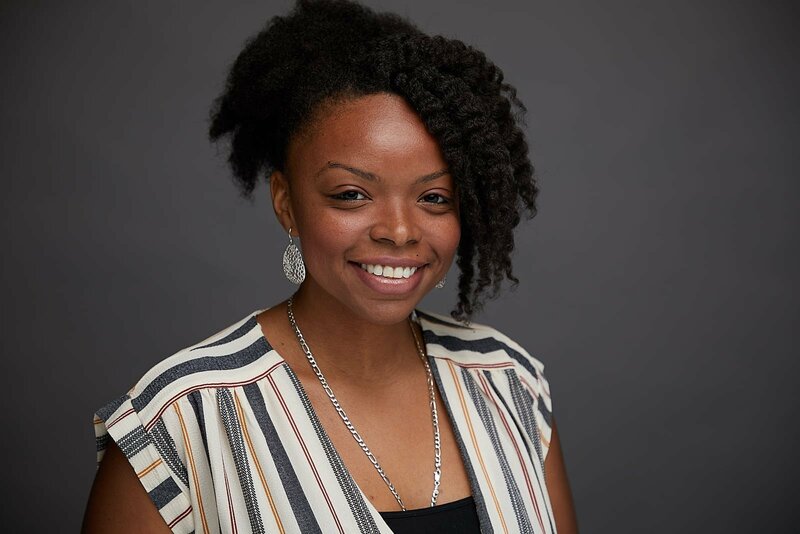 I travel full-time and still haven’t used an app!! Need to check this out. What a great app! I love that it stores information even when you can’t get service. We have only ever used Travello and it’s an app for connecting with travelers vs making an itenaraey. I’m going to look into Sygic! More than once I’ve been stranded without GPS or notes while traveling. It makes me want to carry maps again! I was glad to hear that you and your mom still had a great trip. This sounds similar to GPSmyCity, which I have used in several cities successfully. 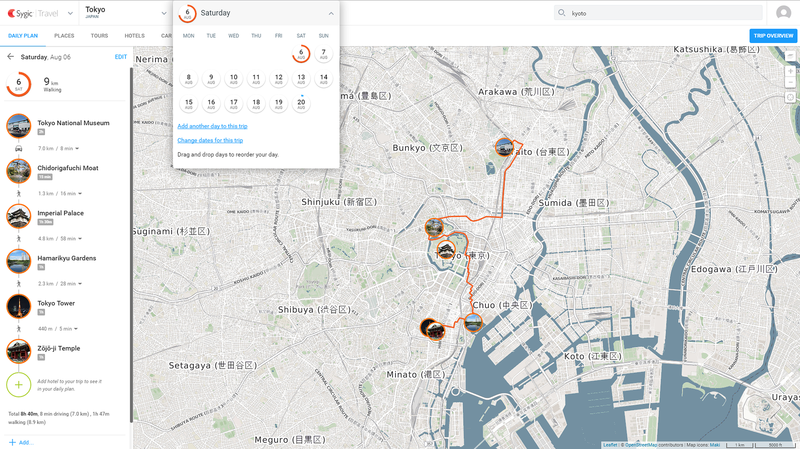 It allows you to download specific routes free or pay for a GPS-embedded version so it can navigate you without having to use data. I love the colorful bubbles in different sizes on Sygic, however. That’s a nice feature. But the price seems awfully high if it’s just for one location. The premium account is actually for unlimited use not only for one itinerary. I actually think the one time investment is worth it especially for offline access and walking navigation since service abroad can be so unpredictable. This is really cool. I think it would be insanely helpful for a place with a quick layover. Saves a lot of time for research! Looks like a really cool app and definitely useful to be able to see everything instead of having to search for different search engines. I really like the idea of the its convenience. However upgrading to the premium might be the best in order to have all access whether online or offline. Agreed – with premium you get both features. The offline access is key! 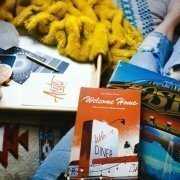 Having a trip planning resource like this makes sense for many travel consumers. Having offline maps is a great thing. This sounds like a real time saver and very valuable on your travels.